From Spain, a PRAXINOSCOPE with its 12 (twelve !) mirrors and 15 (fifteen !) paper animated movie strips. 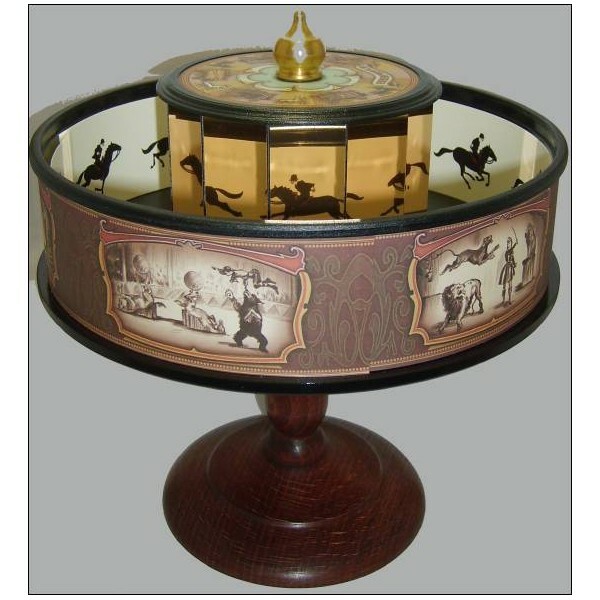 The PRAXINOSCOPE was invented by Emile REYNAUD in 1876. 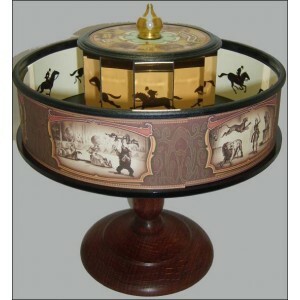 This PRAXINOSCOPE comes with 15 animated strips.